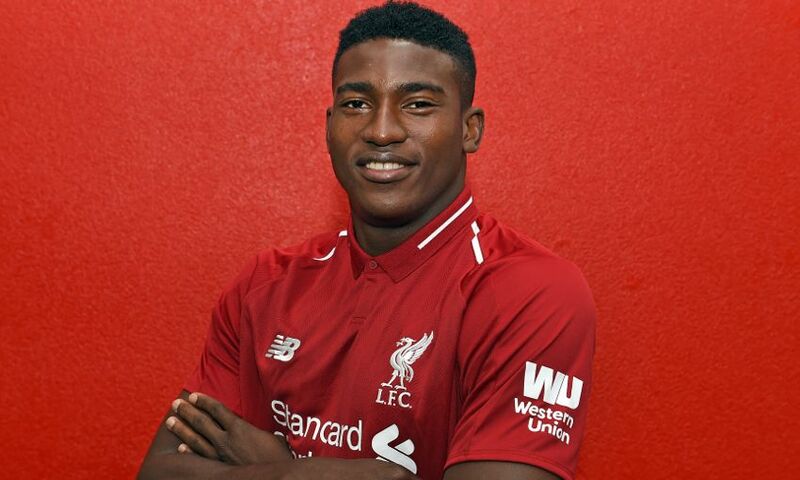 Taiwo Awoniyi pledged to build on his recent progress in the coming season after signing a new long-term contract with Liverpool. 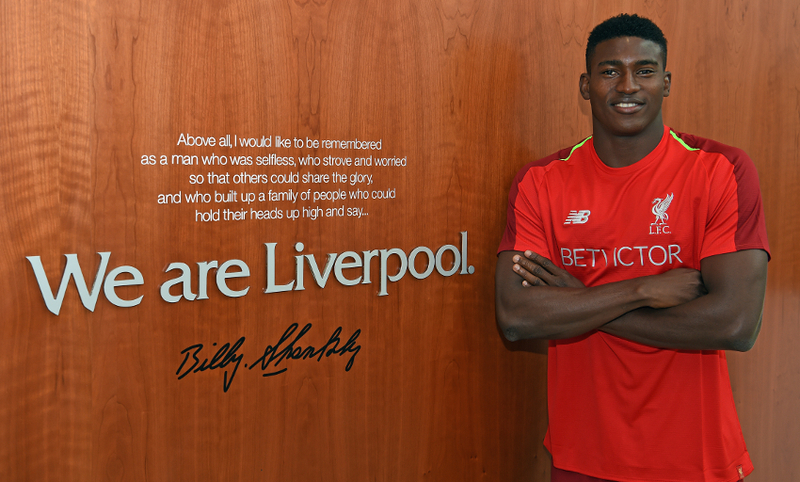 Three years on from joining the Reds, the striker put pen to paper on a fresh deal at Melwood on Tuesday having returned from a productive year with Royal Excel Mouscron. The Nigeria youth international scored 10 goals and provided four assists for the Belgian top-flight side and is now determined to improve again in 2018-19. 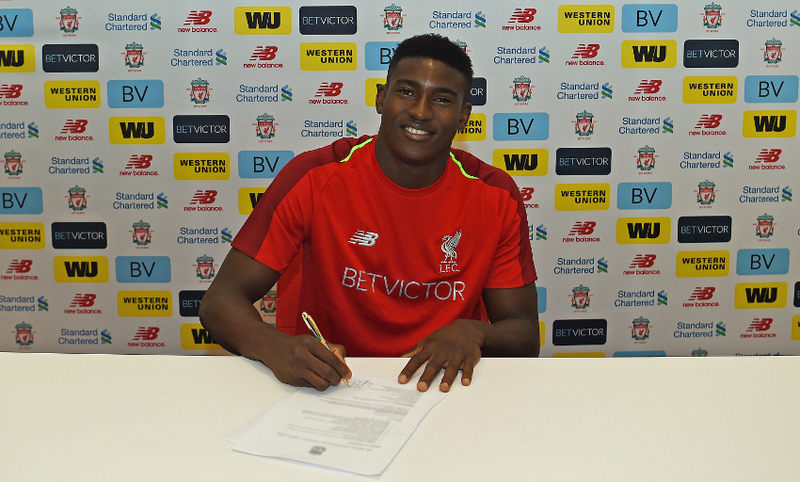 As the ink dried on his new contract, Awoniyi sat down with Liverpoolfc.com to share his delight with the deal, reflect on his development and look to the future. Congratulations, your future at Liverpool is secure. How does it feel to sign this new contract? Thank you. I feel excited and I feel very happy. It has been three years. So far, so good. The last year was the best for me, it has been an amazing year so far. I just have to keep working hard each year and I believe one day the dream will come true. You were at Mouscron in Belgium last season. What was that experience like? Last season was the best season for me so far. It was a bit tough for me to be there alone but I just had to keep on working hard and try as much as possible for the best and work for the success of the team. They stayed in the league. It was a great year for me. Do you think you have improved and become a more mature player as a result of that loan spell? Going from Germany to Holland and to Belgium was a big career move for me as a player. My thanks to Liverpool for that. It helped me a lot to develop more as a player. What is the plan for you now? I’m a Liverpool player for more years and the plan is to keep on working hard and hopefully get back here one day. Is that likely to involve a loan spell again? I think so. At the moment, I don’t have a work permit. I’ll go on loan again and keep on working hard as much as I can. Is that an experience you’re looking forward to, with the ambition to come back to Liverpool? When I was told about the contract I was so eager to get it done, to move onto the next stage, going out on loan or being a Liverpool player. My ambition is to work hard wherever I find myself and hopefully be a better player. What have you made of Liverpool in the last 12 months? It was an amazing year for the club, with the likes of Mane, Salah and my favourite player, Firmino. He works so hard for the team, plays for the team and makes the job easier for the team. Is that the kind of player you might compare yourself to? Hopefully one day. When they gave me this contract I wanted to go for it. I believe in myself that one day it will be possible. You must look up to those African players you mentioned particularly as well? Mane and Salah have really done well for the club and shown the world what Africa has got. Many African players have this talent – it’s just the opportunity sometimes. Is part of your ambition to represent the senior national team as well? That is a big part of the ambition for me. I have played for many years with the youth teams and I look forward to hopefully getting a chance with the senior team. This season will be the one they judge me on. Hopefully I will do it. It was unfortunate that we didn’t get through the [group] at the World Cup. Nigeria are a team with a lot of talent, looking at the team at the World Cup, it had a lot of young talent. I believe Nigeria will come back again as a giant of Africa. Thanks to my family, who have been so supportive. I’m very glad and excited about this contract and hopefully to have an even better year.